To believe Owen Smith stands a chance of winning the next election for Labour, many of his most vocal supporters are even guiltier than Jeremy Corbyn’s apparently ‘fanatical’ followers of confusing their own privileged policy preferences with those of the wider electorate, and believing that if they continue to kick and scream and cover their ears, maybe it will all go away. Smith and his band of hardened electoral pragmatists are quick to accuse Corbyn of being out of touch with the common ‘man-in-the-street’ outside London, and yet they continue to ignore – or actively support – Smith’s biggest policy pledge that would clearly be popular with people who can afford the Eurostar or who go skiing, but would ensure millions of working class voters never vote Labour again. That policy is Smith’s electorally suicidal promise of a second EU referendum. Or failing that, trying to block Brexit from the opposition benches. In June, over 17m people voted to leave the European Union. 21% of Labour’s voters in 2015 – 2m people – are said to have voted to leave. A whopping seven out of ten Labour MPs represent a seat that voted for Brexit. These are mostly in the increasingly deprived areas where you used to be able to win with a monkey in a red rosette, but which have recently started to come into play for the Conservatives and Ukip. For example in Hartlepool, which has a history of electing both monkeys and Peter Mandelson, Labour was the only gang in town. Labour won three times more votes than its nearest rivals in 1997. Yet in 2015 it was only a shade – 4000 votes, a potential swing – ahead of the Tories. The people of Hartlepool voted for Brexit by more than 70%. As they did in the northern seat of Mansfield, where Labour’s majority has declined from 20,000 in 1997 to under 4,000 in the last two general elections. If the Labour vote keeps declining at that rate, or if the next election shows even a slight correlation to the Brexit vote, then it will clearly lose some of these seats under an anti-Brexit leader. Labour needs to hold onto those 2m Brexiters, or the seven out of ten Labour-Brexit constituencies, at the very least, just to maintain its current 100+ seat deficit. On the other hand, lose some of those seats to the Tories, Ukip or whoever else is not in kamikaze mode, and Labour would be looking at electoral wipe-out. Yet some of the Smith supporters I have spoken with – who are personally distraught about leaving the EU – are hanging onto there apparently being 1m ‘regrexiters’ who would like a chance to reverse their howler. Considering there are presumably still 16m people who do not regret backing Brexit, targeting the 1m flaky individuals who can’t make up their minds seems inadequate, especially given how Labour lost the last election by 2m votes. The other argument for ignoring the result is that Brexit voters are imbeciles, and any sensible candidate has a ‘duty’ to overturn a decision based on ignorance by whatever means necessary. This really is the most destructive line of discourse currently circulating around Labour, and it is the one that will – if it is allowed out in the open – blow the party up in a way more spectacular manner than anybody is foreseeing under Corbyn. So far the plan to block Brexit has gained very little attention. Smith’s supporters could hold this up as evidence that it is a winner, in contrast to all the negative publicity Corbyn attracts. But that would be folly. What they forget is that the Labour leadership election is not exactly Sky Box Office material; most people do not know who Owen Smith is. His policies are not being put under the media spotlight as if he was leader. Most amazing is how there appears to be a widespread belief among the master tacticians who support him that if Smith tries to void the result, or if he indicates that he will rerun the referendum until he gets the result he likes, there will not be any electoral blowback. Even in the realm of politics, we do not have many case studies or even an appropriate scale with which to compare this kind of treachery. Would it pan out similar to the Liberal Democrats breaking their 2010 pledge to scrap university fees? After Nick Clegg went into government and trebled them, his party’s share of the popular vote dropped from 22% in 2010 to 7% in 2015, meaning that by election night, the Lib Dems could fit all eight of their red-faced MPs into two cars. Or would the reaction among northern, working class voters being fucked over more closely mirror The Sun’s defamatory coverage of the Hillsborough disaster, where the boycott in Merseyside is still going strong after 25 years, and looks good for another 25? Either way, how can an organisation that supposedly cares about winning elections even consider it? Probably because the parliamentary Labour party, which overwhelmingly backs Smith, still clings onto the illusion that no matter how obnoxiously the party behaves towards its core supporters, it is still entitled to millions of votes from poor voters who have no alternative. But as the scandalous move to deny thousands of new voters a ballot in the ongoing leadership election shows, the Labour establishment clearly feels insecure that people are no longer as obedient as they once were. So it knows something is up, and if you look at Smith’s pledges to end austerity (although on the Andrew Marr show he said he was in favour), it seems like the bigwigs are aware what the problem is. And they will say what they need to say in order for voters to keep giving them one more chance. But millions of Brexit voters have already shown that there may not be any more chances. Some of the smarter people in the media and politics have snagged that the Brexit vote was not really about the European Union as such. People’s own experiences simply do not correspond to Nigel Farage’s claims that 50% of our laws come from Brussels, that EU regulations are what is keeping them from living the good life, or that bendy bananas are illegal. Despite some of the strange vox-pops that happened in the run-up to the election where the phrase kept coming out of people’s mouths, the British population also did not develop a passion for the relatively obscure concept of parliamentary sovereignty. The political class may not want to admit it, but the Brexit vote was in fact a remarkable exercise in mass ballot-spoiling. It was a gloriously carefree moment for millions of repressed voters who could finally have their say without having to actively endorse a single candidate or party. True, there were candidates and parties who benefited – Ukip, half of the Tories, pro-Brexit Labour MP Gisela Stuart and her tax companies. But of the working class, northern Brexit voters I have spoken to, many of them say their primary motivation was not, as is commonly held against them, immigration – although that does come up. It was voting against David Cameron and George Osborne. It was voting against politicians who tell them the kind of authoritarian capitalism the EU represents is good for them, when their wages and job prospects tell them otherwise. For a Labour party that genuinely cared about winning the next election more than it cared about appearing respectable to other members of the global elite, this would present a golden opportunity to offer those however-many million voters an alternative to xenophobia, austerity and economic roulette. A half-decent political communicator (something Corbyn evidently is not) could in fact seize the narrative of ‘taking back control’, and channel the anger of Brexit not towards those ignorant, racist Brexit voters themselves, who were essentially forced to choose between two wings of the Conservative party, but towards the forces of inequality and austerity which drove people to it. Many Brexit voters were angry about immigration. But very few, when you ask them, hold any ill-feeling towards migrants themselves. So they are not racist in the truest sense of the word. What they are angry about is economic exploitation: the sense that there *is enough to go around, but it is always going to somebody else. But in the UK today, anybody who does not go to university or does not actively educate themselves about politics no longer has access to the language of economic criticism, which has been systematically removed from public discourse, and in its place these problems are reframed as issues of race, region and nationhood. If they were half as smart as an office full of Oxford PPE graduates ought to be, Labour strategists would realise that now they’ve had their fun with Brexit, a docile electorate is not going to simply file back in and rubber-stamp candidates from a party that tells them they are stupid, racist and wrong. They will not keep being betrayed by university-educated shysters who pander to the Sun and Daily Mail’s worldview, who talk the language of Fleet Street and allow key issues to be debated on the tabloids’ terms; but then, when a voter sees the world through the tabloid-constructed prism of nationhood and state, slap them down with political correctness. Ultimately they will not support people who have earned upwards of £100k a year, who keep insisting the free market will still look after them (and our membership of the EU single market ought to be unconditional), while all around them rents keep going up, council house queues get longer, libraries close, wages fail to keep up with inflation, and the NHS is gradually siphoned off to American healthcare conglomerates. To give Smith and his supporters their credit, a recent BMG poll would appear to support their belief that a Labour party led by Corbyn would not win the next election. And it is of course worrying for Corbyn’s supporters that in every election since 1979 – when Margaret Thatcher defied expectations to win while being a woman – the leader who conformed to the media’s mugshot of what a prime minister ‘should look like’ has won. But after Brexit, appearing ‘prime ministerial’ is no longer the deal-breaker it used to be for the kind of angry voter Labour needs to attract if it is to win the next election. Even so, with the ‘Corbyn is useless’ narrative now firmly cemented in the public’s mind, it is safe to assume that Labour is probably still heading for defeat at the polls in 2020. For anybody who doesn’t believe a Labour party that fleeces its new members for an extra £25 to vote in a leadership election is irreparably corrupt and incapable of responding to the needs of poor people, there is an upside. With the current rate of recruitment for which Corbyn can take the credit, by 2020 Labour would have amassed a million or more members who would be ready to campaign on behalf of the next leader. In short, the party would still be alive by then if Corbyn remains in charge. It may even be a stronger, if fundamentally different, party. Smith, on the other hand, has convinced a large number of Labour members and affiliated organisations that he is the only candidate who can rescue the party from its embarrassing experiment with a socialist leader, and return it to the loving embrace of PwC tax auditors, Foxtons estate agents, and the drug giant Pfizer – for whom he used to work. But to believe in Smith’s chances of winning a post-Brexit election is as dangerous and naïve as it was of Ed Miliband to believe he could brown-nose Rupert Murdoch and keep his dignity. Because another sick irony is how this notion of ‘electability’ is essentially decided by the right-wing media, and it ultimately boils down to whether a politician is bloodthirsty enough to go to war, but not brave enough to make meaningful changes to the tax affairs of a paper’s oligarch owners. Yet even if they meet the first two criteria, the press will be gunning for a Labour leader regardless. Luckily for the papers, there are an infinite number of other criteria that can be invented with which to hound and humiliate, such as whether a candidate looks serene while eating a bacon sandwich, or what their ancestors were up to in 1867. 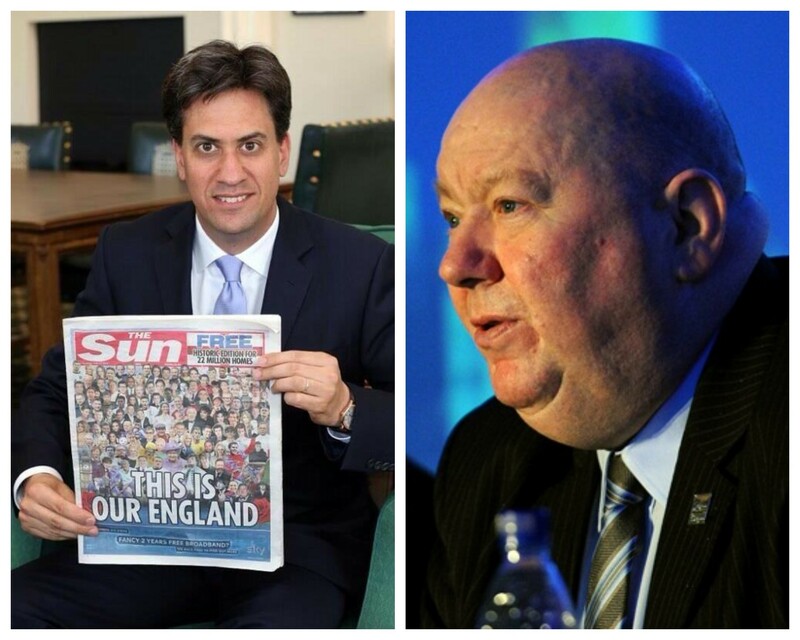 Corbyn has rightly been criticised for giving the tabloids too many easy chances to whack him. Half-bowing at the Cenotaph and then standing for, but refusing the sing the national anthem, pleased nobody. There are too many other similar gaffes to name. Yet Smith claims he want to overturn Brexit – the tabloids’ most precious trophy kill ever – and that apparently will not cause him any problems getting elected. It does not take the wildest imagination to wonder if, in News Corp’s offices right now, there are plaques being nailed to the wall, ready to mount the head of another Labour leader who was foolish enough to try to sell Europe to their readers. Combine a zealous press with a potential northern boycott of the party. Throw the party base ripping up its membership cards en masse into the mixer, and it appears that Smith – not Corbyn – is the true disaster candidate.